Second Inversion hosts share a favorite selection from this Friday’s playlist. Tune in during the indicated hours below on Friday, July 1 to hear these pieces. In the meantime, you’ll hear other great new and unusual music from all corners of the classical genre 24/7! Brahms is not easy. Brahms is not easy to learn, not easy to play, not easy to perform, and certainly not easy to imitate. 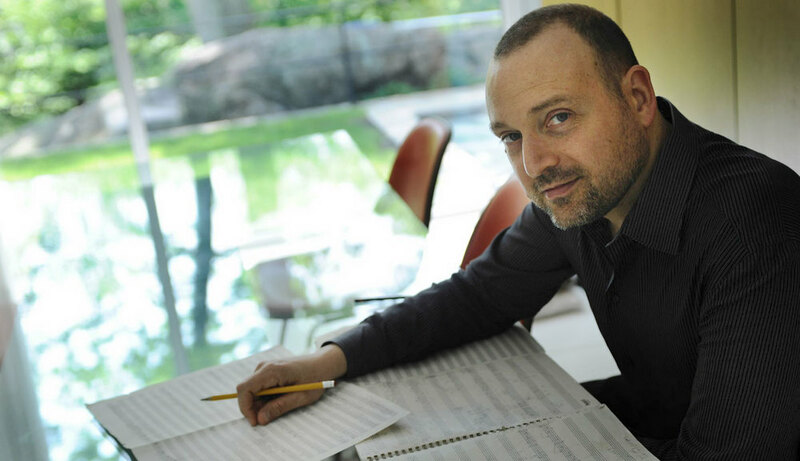 But composer Bruce Adolphe rose to the challenge when his former Julliard student Orli Shaham commissioned him to write a Brahmsian solo piano piece for her album Brahms Inspired. And rise up he did—in “My Inner Brahms (An Intermezzo),” Adolphe channels the Romantic master’s trademark lyricism and profound depth. He echoes Brahms’ famously thick, dense harmonies and cascading arpeggios, his searing poignancy and that unmistakable sense of yearning. Like Brahms, there is a quality in Adolphe’s writing that is tragic, traumatic, and so incredibly vulnerable. The piece completely surrounds and engulfs you in its swirling arpeggios and elusive melodies—and after a while you begin to lose yourself entirely to that bold, unmistakably Brahmsian lyricism. If you weren’t paying attention, you might think this cut is just another track of house music that samples some “world music” sounds… But, that would be a shame, because with this track, the beauty is in the details. In Eight and a Half Birds, Suphala fuses danceable beats, nature sounds, piano samples, electronics, and her own tabla mastery into something very special, with the texture evolving and morphing in a deeply fascinating manner that’s also just subtle enough to fly right by the ears of the inattentive. So, just what should we call this? I’m going to choose to call it “post-minimalist post-house,” but labels don’t really matter when the music is this good. This cut is music for squinting slowly into the sun on a bright, hot summer day and loving every second of it. Thank you for joining me here as we embark on an exploration of musicians’ lives in today’s changing landscape. Over the last few years, I have been taking on projects and roles that I never dreamt would be a part of my professional life as a musician, and I see many of my colleagues redefining their musical career as well. For many of us, this is uncertain territory. Leaving our practice rooms behind, entering the worlds of interdisciplinary collaborations, social experiments, entrepreneurial endeavors, and in general, a broader sense of creativity, we are making things up as we go. Luckily, there are fantastic examples of success, from the composer-­performer, like the JACK Quartet, who write and arrange music as well as performing new works by others, to the modern day impresario, like Derek Bermel, who not only composes and plays clarinet, but has curated chamber music series’ in the past and is now Artistic Director of the American Composers Orchestra. In a world where geographical borders are often easy to cross, and technology blurs the lines of genre and categories in other realms, the question of whether we should define ourselves within old and possibly rigid boundaries is an important one. Am I a cellist? Am I a musician? Am I a classical musician that enjoys other kinds of music, or some broader kind of musician that specializes in classical music? Perhaps a sound artist? Personally, I’ve begun to feel a strong and central pull that brings me towards a core, something I could only describe as “my voice”. In this fast pace world of 30 second sound bites, it is challenging to define this new type of musical individuality, and the meeting the need to articulate a concise statement of who one is, or what one does, can be especially difficult as one embarks upon new paths and begins to explore new avenues of artistic expression. All of this sounds very new, but one of the most encouraging realizations that keeps coming back to me is the fact that this is all a very old idea. Name a composer from before 1900 and chances are strong that they were also a performer. Many of them were skilled (or at least effective) organizers as well. Assembling musical forces was not always easy to do, if you weren’t in the employ of royalty. Even then, many contracts included more than just writing and showing up to play. I draw much inspiration from famous musicians of old such as Mozart, Bach, Brahms, and others from their time who developed a unique voice, while sharing through their performances and repertoire decisions as well. Today, many of my friends are doing this at incredibly high levels, and their creativity and passion manifest in ways that surprise and invigorate me. Hopefully, along with keeping you up to date on the things I’m doing, sharing about the music and people I get to know along the way, and musing about ideas and provocations that pop up, this space will afford the opportunity to help discover new and better ways to communicate the essence of what the hell it is we are doing here with this amazing art form. I can’t wait to see how it unfolds! For now, I will leave you with two lists, and gratitude for sharing the journey with me. P.S. Thank you to Second Inversion for inviting me to share via their platform. I encourage you to check out their 24/7 webstream, where you’ll be hearing from me occasionally as well. NOW Ensemble: Live Broadcast on Wednesday, November 5! Join the Facebook event and invite your friends!! Stay tuned for news on more live broadcasts from Town Hall, in-studio recordings, and broadcasts of pre-recorded concerts throughout the year!